No showings except during the Open Houses, no exceptions. Vintage charm in HOT Cole neighborhood! You can not beat the location with amazing restaurants, breweries, coffee shops & activities located in & around this vibrant neighborhood. Near RiNO, Rock Drill Redevelopment, 5 Points, LoDo & Blake St. This home has the architectural character everyone loves. Seller had installed gas forced air furnace and central a/c. Large front picture window allows plenty of natural light into the living space. Charming built-in in the dining area. Laundry room on the back of the home with access to the partial basement, which is great for storage. Two bedrooms with tall ceilings and ceiling fans. 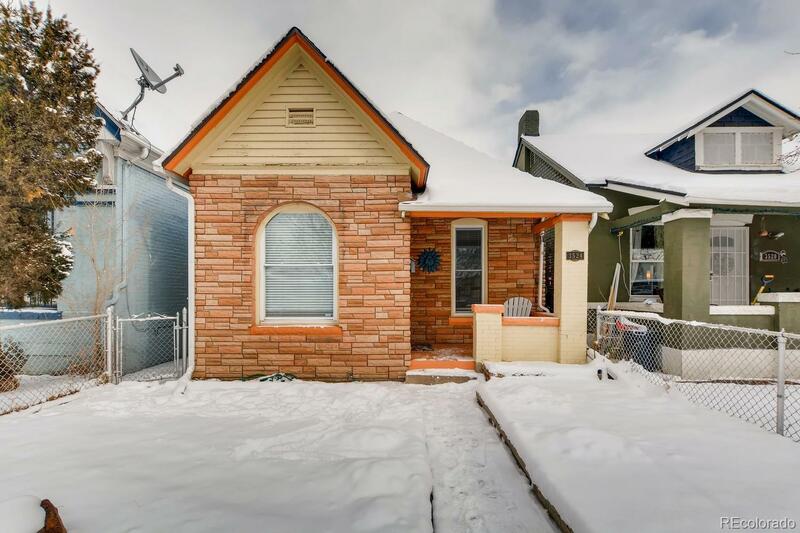 Updated 3/4 bath with large shower and built-in storage. Beautiful hardwood floors, tall ceilings, and abundant charm. Detached 1 car garage with alley access, can fit a smaller car. The attic could possibly be converted into living space as well. The content relating to real estate for sale in this Web site comes in part from the Internet Data eXchange ("IDX") program of METROLIST, INC.DBA RECOLORADO® Real estate listings held by brokers other than Showcase Properties Unlimited are marked with the IDX Logo. This information is being provided for the consumers' personal, non-commercial use and may not be used for any other purpose. All information subject to change and should be independently verified.